Treat yourself and your kitchen with marble or granite benchtops that will withstand the toll of time and still come out strong. 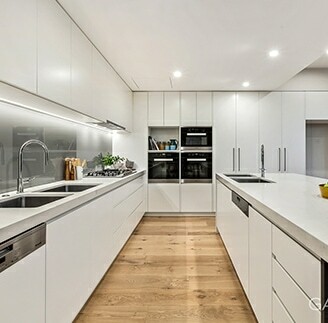 Whether you are renovating your home kitchen, adding the finishing touches to an investment property, or improving your commercial space, Cutting Edge Stone’s marble kitchen benchtops in Melbourne are the most perfect solution. Available in a number of natural and expressive colours and patterns, marble kitchen benchtops can add style to your kitchen, while providing our customers with a cost-effective, resilient, and easy-to-maintain surface option for their kitchens. 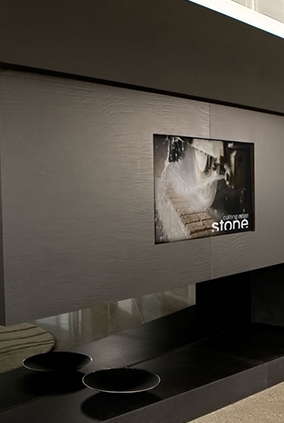 Realising the durability and strength these materials offer, Cutting Edge Stone have developed expertise in the creation of true works of art through our marble benchtops. With our marble kitchen bench tops Melbourne residents won’t find work like this in any kitchen in the world. Marble benchtops and countertops can brighten up your place and give it a modern and chic look, which looks more expensive than it actually is. Marble look stone benchtops are highly desirable, and with Cutting Edge Stone, you can get the real thing for an affordable price. Having over 40 years of experience in stone fabrication and installation, our team of experts can provide the best quality services - from designing, cutting, finishing to installing your granite and marble kitchen benchtops and countertops. For an experience full of colours and patterns, precision and class, contact our Tullamarine, Melbourne showroom and let us design the perfect marble kitchen benchtop to add some old-world charm to your home. Find out more about the many, many benefits of our marble kitchen benchtops in Melbourne by calling our friendly and professional team today on 03 9338 8440.